« Backup user on Dreamhost? BE CAREFUL! A lot of people have issues with the client virtual machine display in Hyper-V Manager. This is a really simple workaround for some basic office functionality besides using Remote Desktop. 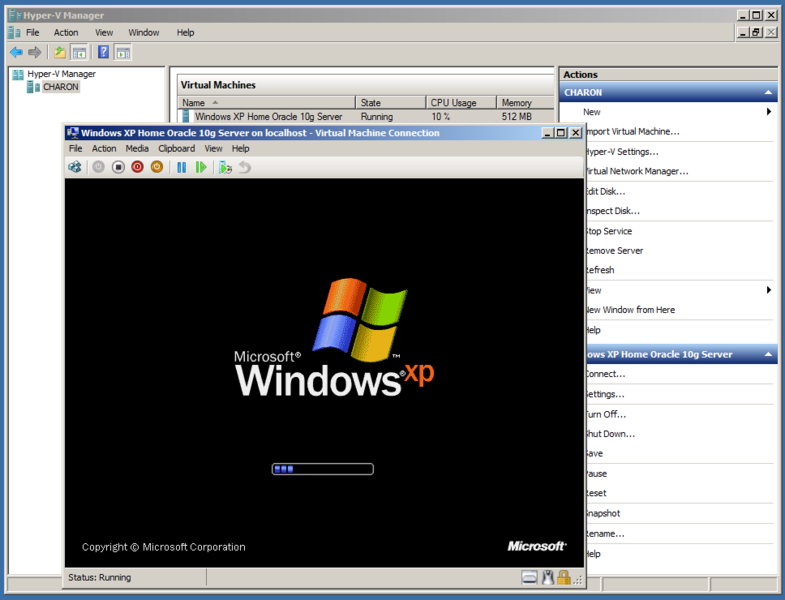 I was trying to run Oracle 10g in Windows XP Home in Windows Server 2008 R2 using Hyper-V. I wanted to have this VHD around for on-hand reference for awhile but didn’t want Windows Activation issues down the line with my MSDN Windows XP Pro. I hate having to use the phone to re-re-re-reactivate every time there’s an update. So I ended up using an XP Home license from a now defunct laptop. So as anyone who has ever used Hyper-V before, OS and networking setup with multiple NICs is a snap (unless something goes horribly wrong and the whole PC starts crawling). Remember to ‘insert’ the Integration Services Setup disk and install the Windows drivers. 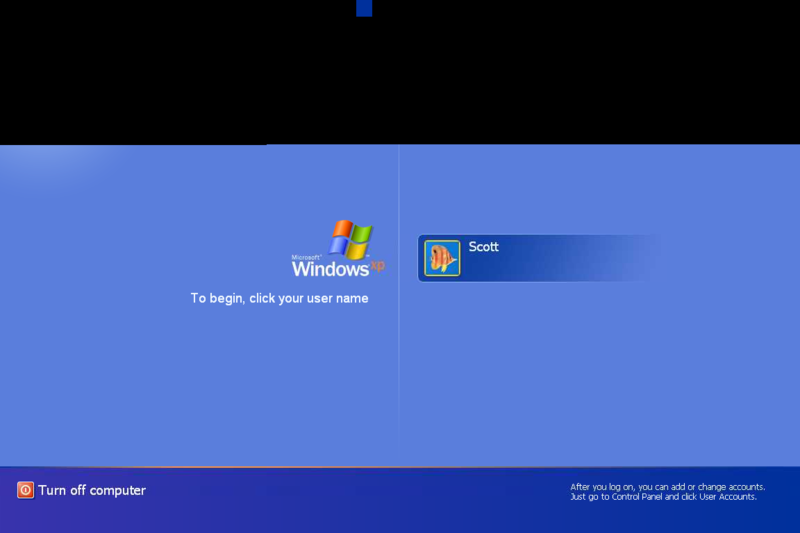 As I was using XP Home, there’s no Remote Desktop services. So I was hoping to put in UltraVNC Server. I couldn’t do that however as the Hyper-V Manager couldn’t display the screen properly. Enabling VGA mode at boot-up by hitting F8 (you have to be quick sometimes as the VM doesn’t take input focus all that quickly sometimes) allowed a 640×480 uncorrupted display. I was then able to install UltraVNC. But upon reboot, I found that I was still stuck at higher resolutions. As VNC remotely displays the screen, it remotely displays the same problem, although not always in the same manner. 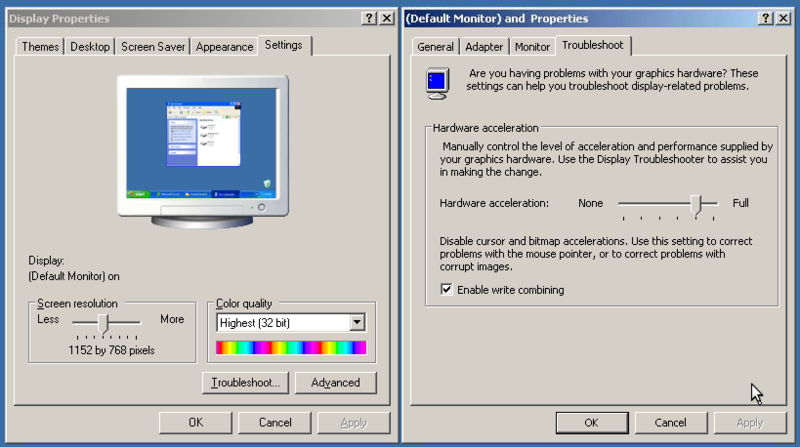 To allow screen resolutions of greater than 640×480, go to Display Properties->Advanced->Troubleshoot->Hardware acceleration. Lower this until it displays properly when you increase the screen resolution! You may have to reboot before things work out again. I was able to get a 16 bit screen with a resolution of 1600×1200. Although I don’t recommend running that detailed using UltraVNC. This will fix it! You might have to move the slider farther left! The desktop now properly displays using Hyper-V Manager or any VNC client! This entry was posted on 2010.05.21, 13:25 and is filed under microsoft, technology. You can follow any responses to this entry through RSS 2.0. Both comments and pings are currently closed.